The latest version of Overwatch is now complete and has been taken off the PTR. The undoubted highlight is the addition of deathmatch modes to the Arcade, but there’s also a new map, and four heroes get a bit of a boost. Read on for a full breakdown. Here’s what’s next for Overwatch. Patch 1.14 has been taken off the PTR. When this happens, it gets pushed to live when the next PTR goes up, which is usually the following Tuesday. That would be August 29, so expect patch 1.14 to go live then, sometime between 18:00 and 20:00 BST. Game director Jeff Kaplan sayswe can expect a new PTR “this week or next with the next patch.” That patch will bring Mercy and D.Va changes – check our embryonic 1.15 update post for the details so far. In the meantime, patch 1.14 is now complete. Read on to learn how Overwatch is about to change. 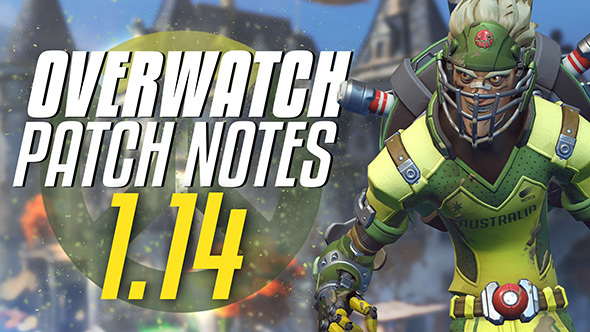 It’s all buffs, no nerfs in patch 1.14, as four underperforming heroes get some love. With two mines (plus a possible third if he’s planted one), Junkrat is now more flexible, especially if using mines for mobility. The RIP-Tire buff is intended to let it connect more often, and reduce the time Junkrat is vulnerable while controlling it. The projectile speed boost helps Orisa’s consistency at longer ranges, while the barrier buff makes her more effective at what a tank is supposed to do – protect the team.As you can see, the extra 20% size counts for a lot – Orisa’s barriers can now comfortably cover a payload’s frontage. Reddit seems to be enjoying it. Roadhog can now move at full speed, and receives 50% less damage, while using Take a Breather. Blizzard and the community agreed that Roadhog was in a bad spot after the nerf to his hook-one shot combo. To balance this out, he’s gotten a significant buff to his survivability, enabling him to be more aggressive when seeking targets. Here’s principal designer Geoff Goodman on the change. If you’re good at landing charged headshots, Widowmaker has no damage problems at all. The rest of her kit is intended to help her mobility and threat awareness, and Blizzard reckon it’s underperforming in this regard right now. Deathmatch and Team Deathmatch have been added to the Arcade on the PTR. If you know shooter nomenclature, you know what they are already: Deathmatch is an eight-player free-for-all that ends when one player scores 20 points. Killing blows on an enemy are worth one point, and one point is lost for self-inflicted deaths. Team Deathmatch follows the same rules, except it’s two teams of four and a score limit of 30 points. If a player is resurrected before they respawn, the point for their death is deducted from the enemy score. Château Guillard is located near Annecy in southeastern France. For hundreds of years, it was the estate of the influential Guillard family, until it gradually fell into disrepair after the family’s power waned in the decades after the Revolution. Recently, the château has found a new owner: the Talon agent Widowmaker, who has returned to her family’s ancestral home. For more details on the new map, and to watch some gameplay, check out our announcement story. You can already change its colour and opacity, but if you’re still having issues getting your crosshair exactly right, you’re getting even more control: in patch 1.14 you can change the opacity of the crosshair’s black outline. Because that’s what’s been holding you back from Grand Master, obviously. And finally, it’s not a patch unless some bugs get squashed. Phew. Here’s Blizzard’s official announcement over on the forums, and that’s your lot for the new PTR. What do you think of the hero changes? Are you enjoying Deathmatch? Sound off in the comments.